Props: Start with a wall or someone to spot you. Adho Mukha Vrksasana (Handstand) is quite a hard one as for pose you need to have a lot of strength and well sense of balance. However, if you practice this asana regularly then you will be able to perform it perfectly in just one try. So, all you need in this asana is practice to get its benefits. 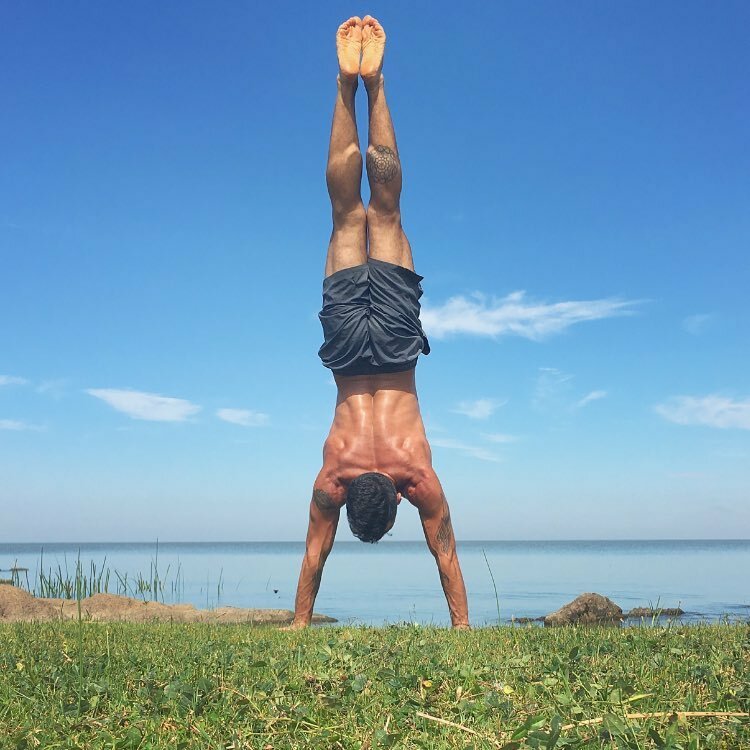 What does it mean by Adho Mukha Vrksasana (Handstand)? 1 What does it mean by Adho Mukha Vrksasana (Handstand)? “Asana (आसन)” means ‘Yoga pose’. This pose is thus also called downward facing tree pose. In this yoga pose, you have to rest your hand (palm) on the floor and your legs will stay towards the sky. Handstand pose is very beneficial in many ways. So, let’s now check out all the other details regarding this asana and its benefits. In case you are a beginner then take the wall’s support or you can also ask anyone to give you support while doing this asana. Now make the balance of the whole body on your hands and straighten the feet away from the wall. For the beginners, it will be great if you can resort to a friend or yoga teacher who can help you catch your feet to do this yoga or you can also join a yoga class so that you do not get into any trouble while practicing this asana. Pregnant women do not do this posture or consult a doctor before doing this. Individuals, who are troubling with shoulder pain, do not do this posture. People with neck pain and headache should not try this asana. High blood pressure patients do not do this posture. In the end, all I have to say is to follow the precautions that are mentioned in this article, take any support you are comfortable with like wall or friend or yoga teacher or join a yoga class if you feel the need. And the most important of all is that you have to practice it regularly to get its noticeable benefits.